AliDropship Woo => AliExpress => Settings => Tracking Service. Choose one of the implemented services and Tracking ID will be attached to email notifications sent to your clients. Your customers will be redirected to the website of the chosen tracking service when clicking on the tracking number provided in ‘Order shipped’ email or checking order status in Orders section of their personal accounts. 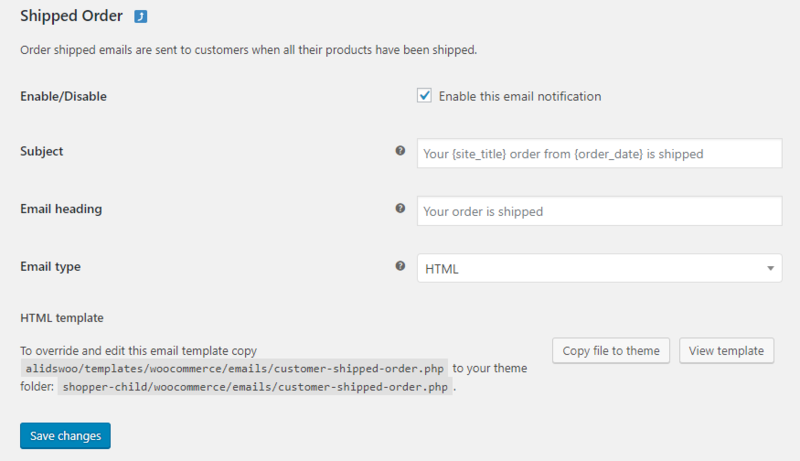 Enable toggle ‘Order shipped notification’ if you want this template is sent automatically once all tracking IDs are collected.